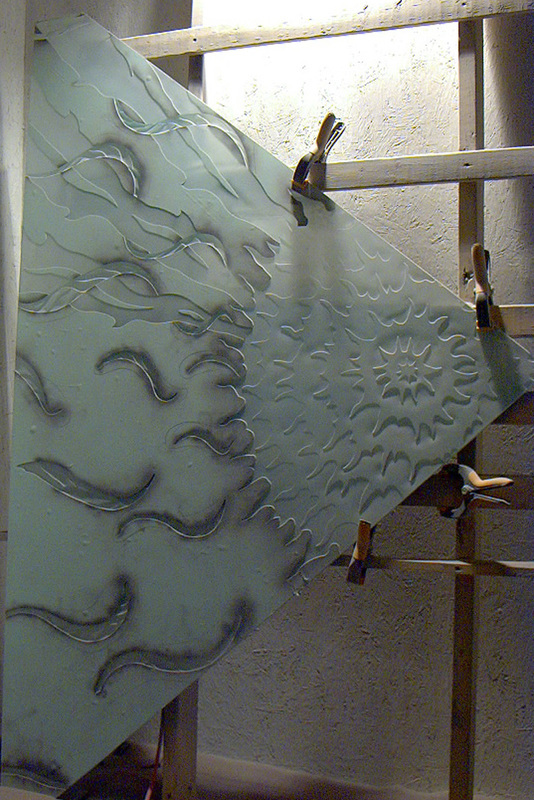 Etching refers to the technique of creating art on the surface of glass by abrasive blasting. 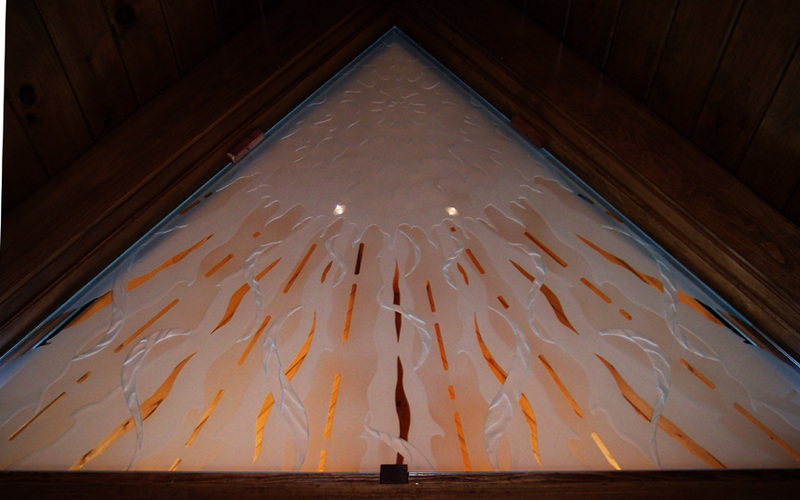 Traditionally this is done after the glass is blown or cast. 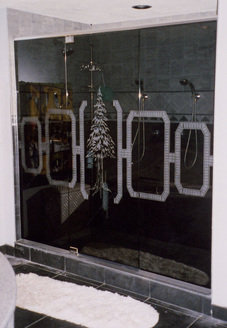 The removal of minute amounts of glass causes the characteristic rough surface and translucent quality of frosted glass. 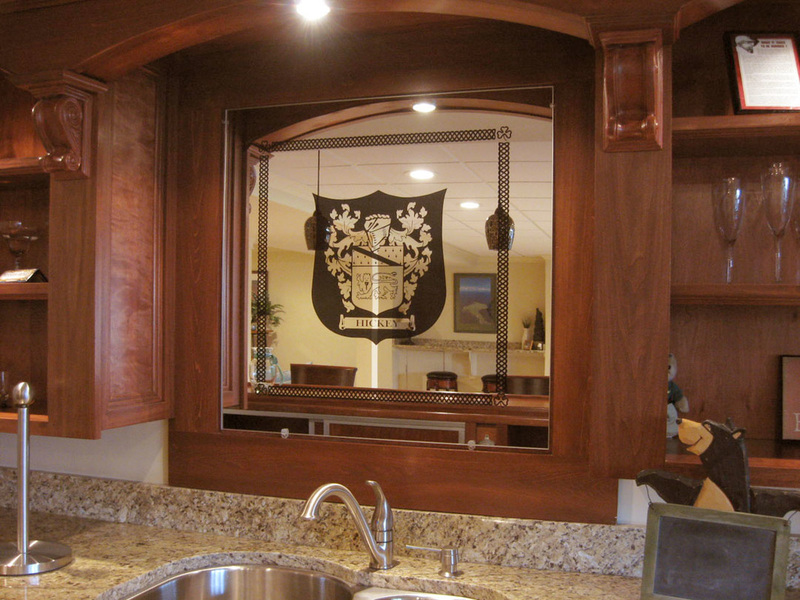 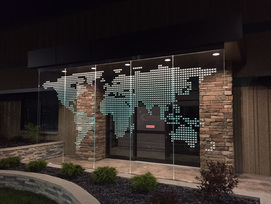 Abrasive blasting ("sandblasting") is the technique for creating patterns in flat glass and glassware, creating a "frosted" look to the glass. 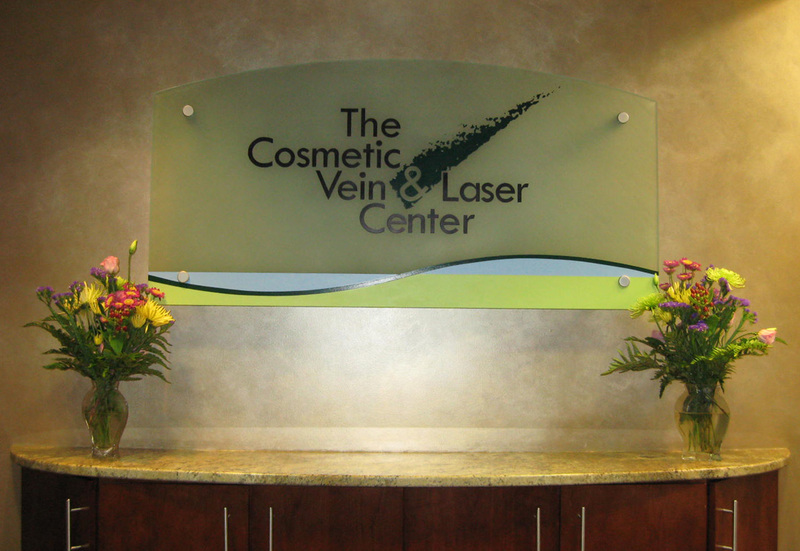 It is often used commercially. 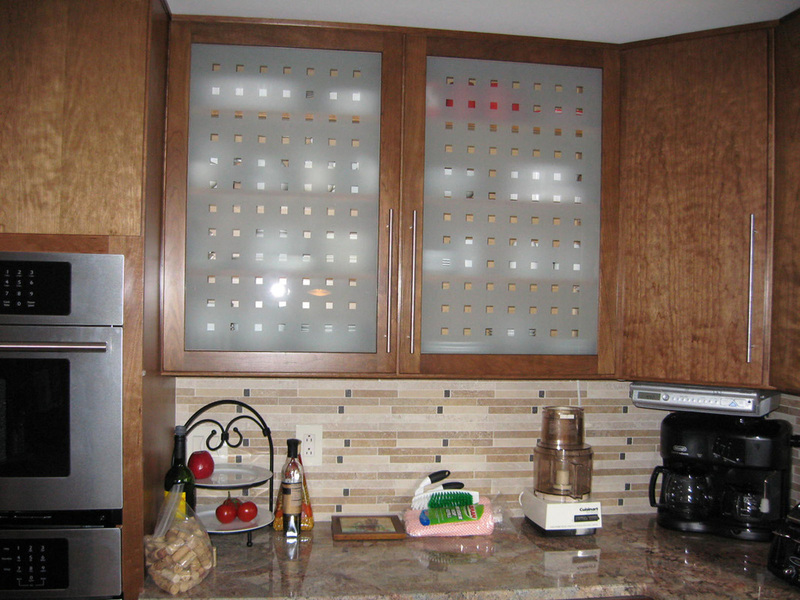 High pressure air mixed with an abrasive material cuts away at the glass surface to create the desired effect. 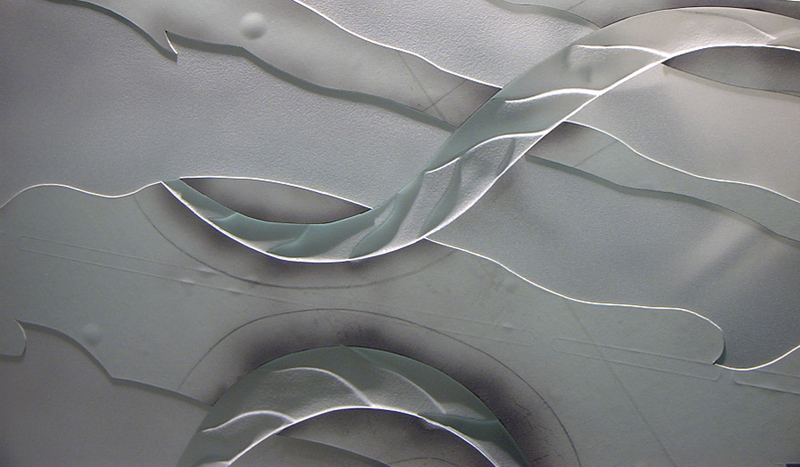 The longer the stream of air and abrasive material are focused in one spot, the deeper the cut.